Good day Bo Sanchez! I want to and willing to learn in stock market but my problem is that icant go to manila because of my 3 kids to look for them. Arent you conducting seminars here in Pampanga especifically here at Clark, sir? First, I am not Bo Sanchez; I am Bobet Prudente. Bo Sanchez is my mentor, inspiration and friend. I tell people about my TrulyRichClub adventures and the blessings I get from being a member. Do you free seminar at Quezon city? The TRC QuickStart seminar is regularly conducted at Ortigas Center in Pasig ( just next to Quezon City ) at the Philippine Stock Exchange Bldg. It is walking distance from SM Megamall. No, we do not have Quickstart in QC proper. Hi.. my name is catherine lopez from marikina.. im working as janitress from a private agency and i assign in a goverment sector somewhere in q.c Can i join the club even im just an ordinary employee? 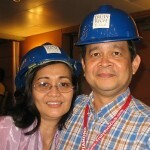 I hoping that you make read my comment.. i love to join the club mr bo sanchez.. thank you.. god bless po..
Hi Catherine! Instead of the TrulyRichClub, you can consider joining the TrulyRichMakers team. 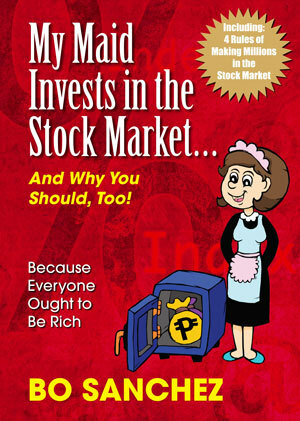 See http://www.trulyrichmakers.biz/free-financial-seminar-quezon-city/ . The QC seminar is at JIAO Bldg at Timog corner Quezon Ave.
You can also join Bo Sanchez’ Light of Jesus group by attending the Feast. The Feast is held in many areas, and I think there are three Feasts in Quezon City. Saan ka ba sa QC nag-wo-work?